This beer is a gold medal winner at the Great American Beer Festival and I definitely understand why. It reminds me of a perfectly crafted Czech pilsner, not taste wise, just emotionally. 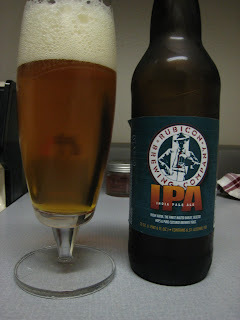 The hops are perfectly balanced and have a bit of a kick that is required for a fine IPA. The color and head are magnificent, the aromas are very sweet and floral, and the taste is very complex without being too pretentious. A great buy for the price.